CONS: The noise reduction function takes some getting used to. SUMMARY: This is a fantastic quality product that does what it claims to do, it helps people with mild to moderate hearing loss more fully enjoy their life by assisting them to hear better and connect with family and friends at an affordable price. 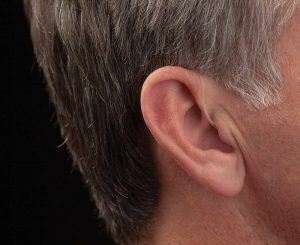 Even though it doesn’t qualify as a hearing aid, it offers a lot of the same types of features that traditional hearing aids do. 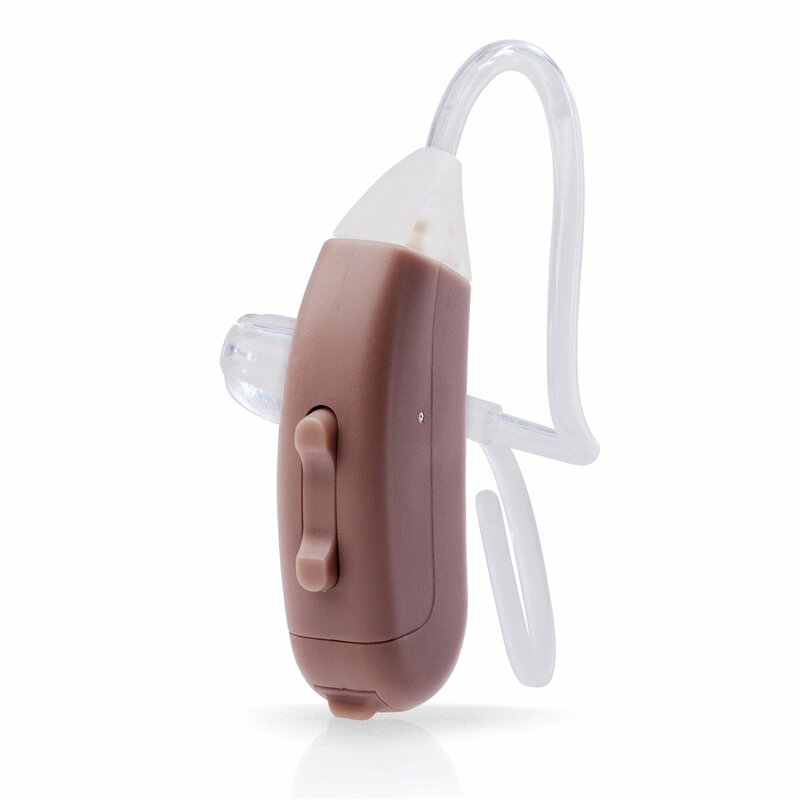 The Empower Boost Hearing Amplifier (formerly Lifeear) is a high-end personal hearing amplifier that provides four different amplification programs which are suitable for a wide range of hearing amplification needs. 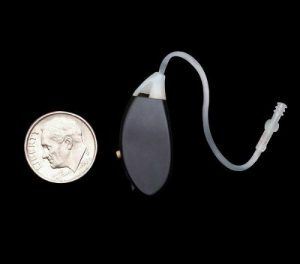 For some types of hearing loss it is a useful, reasonably priced and easy to use product that offers some of the same high-quality components that you get in top brand hearing aids, but for a fraction of the cost. This device was designed by a doctor and an audiologist to provide a light and discreet unit that can be used on either ear. The Empower Boost is useful for anyone who needs clean amplification and digital noise reduction in a variety of situations like watching TV, conversations with friends, meeting and talking on the phone. The most important feature when looking for a personal sound amplifier is that you get a comfortable fit. Without a good fit, the amplifier will be, for the most part, useless because you will not want to wear it. The body of the amplifier is small and lightweight, and it fits comfortably behind your ear. Clear tubing runs from the body of the device to the canal where you then fit a clear ear dome snugly into your ear canal. The domes include six choices of sizes so that you can find the right fit. As with hearing aids and other behind the ear sound amplifiers, it takes some patience and getting used to wearing. LifeEar also has a model that fits into the ear. It is essential that you position the dome correctly within your ear so that the fit is tight. If the dome is loose, you may hear a whistling sound. It takes time to find the right fit, so when you first start using the Empower, you need only to wear it for a short period each day to allow your ear and mind to get used to it. The Empower Boost is a sound amplifier, meaning that it amplifies the sounds around you. Some users find that it works well in most situations except for noisy environments like a restaurant. The device has background noise canceling technology, but in some circumstances, the surrounding noise is amplified to a distracting level. It may be because the user’s brain has not yet learned how to process the amplified sound. To be fair though, this is also a problem that you can encounter with some expensive hearing aids. The unit has four modes of operation from mild amplification (15dB) to a slightly higher (25 dB) level. There are only two volume levels and low and high. The low volume is fixed when you are in mode 1 and mode 2, while the high volume is fixed when set to mode 3 or mode 4. So there is no volume control knob to adjust the volume within the modes. The four modes give you a reasonable amount of adjustment to find the right sound quality for you. When you are buying any product that claims to help you hear better, it is essential to have a close look at the return policy and the warranty. Since there are different types of hearing loss, a product that might work well for one type of hearing loss, may not be great for a different kind of hearing impairment. Life Ear offers a full refund of the product purchase price within 30 days of receipt of the shipment. It also comes with a 6-month warranty. By all accounts, they do honor the refund policy and warranty. Empower Boost uses size 10/10 A zinc-air batteries that can be purchased at many different types of stores (Walmart, drug stores, Amazon). The battery life seems to run somewhere between one to two weeks, depending number of hours in the day it is worn and whether the battery chamber is opened when not in use. You can get help at Empower’s website. There are instructions and troubleshooting info on the support page. Another important feature when shopping for a hearing device is to find one that allows for customization of the sound. Since types of hearing loss are so different for different people what sounds good to one person may sound terrible to someone else. On most of the low-end hearing amplifiers, you have very little room to modify the sound level and frequency to something comfortable for you. The Empower Boost has mode settings that make the device customizable. Mode 1 is a moderate level of amplification that emphasizes higher frequencies; Mode 2 is an average level of amplification of all frequencies; Mode 3 is a greater level of amplification that emphasizes higher frequencies, and Mode 4 is a greater amplification of all frequencies. There is a small button that controls the four modes using beeps to tell you which mode you are in. You will have to play around with the amplifier to find the right mode, and you may find that you use different modes for different situations as you adapt to the device. If you have hearing loss, yes, you should go and have a hearing test done by a hearing professional and discuss your options. But if you happen to be in a position where buying a hearing aid for many thousands of dollar is out of the question, (which it is for a lot of people ) you should try out the Empower. With a 30 day money back guarantee you really have nothing to lose and so much to gain if it ends up being the right device for you. The Empower Boost color options are beige or black, and they can be worn in either ear. The company recommends that you purchase one for both ears if you aren’t sure. The reason is that when you have hearing signals processed from both ears, you get improved clarity and balanced sound above what you would get from just one ear. These devices are intended for moderate hearing loss, not severe hearing loss.